Yet another major lawsuit attacking the Indian Child Welfare Act was filed in federal court last month, demonstrating the existence of a coordinated and well-funded effort to undermine a law that is so vital to the preservation of Native heritage. The latest suit, filed in Oklahoma, alleges ICWA violated the constitutional rights of an Indian couple by allowing tribes to intervene in the adoption. The suit hinges primarily on their right to not have medical records disclosed to tribes and further alleges the couple should be allowed to decide the placement of their child without interference from tribal entities. The Lakota People’s Law Project believes the plaintiff’s legal position is absurd on its face. Moreover, this attack on Native rights demonstrates why ICWA needs robust protections from adoption agencies and attorneys who make large profits off of wresting Indian children from their families and placing them in white families where they are cut off from their heritage, culture and language. The suit is one of four major lawsuits filed in four different courts by plaintiffs closely connected with adoption-industry lobbying groups. Our organization finds it hard to believe that four separate Indian parental units in four separate states have come forward after conducting a detailed analysis of ICWA and determining the long standing law, intending to protect the integrity of Native culture, was standing in the way of their constitutional rights. The more likely scenario, in our view, is that these Indian couples/parents, were approached and recruited by lawyers affiliated with the adoption industry. It is highly likely that these Indian mothers and fathers were somehow persuaded to act as plaintiffs in these suits. The United States Adoption Industry is a $13 billion a year industry, according to Claudia Corrigan D’Arcy, an expert on adoption issues who has been writing a blog since 2005. The American Academy of Adoption Attorneys is a visible and aggressive consortium that has formed around the adoption-industrial-complex, which proves especially lucrative for adoption attorneys. In the latest suit, the attorney for the plaintiffs, Paul Swain, has been a member of AAAA since 2009. He claims to specialize in interstate adoption, contested adoption among other aspects of adoption law. Again, it’s exceedingly difficult to believe this organization genuinely thought the rights of Indians were being violated by a law enacted to protect their heritage and culture; rather, it’s much more likely this organization is intent on removing an impediment to their ongoing personal enrichment on the backs of impoverished minorities. The fact that they would use the U.S. Constitution as a means of doing so, shows the level to which they are willing to stoop to exploit impoverished Indian mothers. The lawsuit in Oklahoma is now one of four lawsuits filed throughout the United States, attacking ICWA, state laws that further enhance the protections in the federal law and the federal guidelines that were released by the BIA earlier this year in reaction to the consistent and flagrant violations of the law in South Dakota, Alaska, Oklahoma, Maine and elsewhere. We need your help. Write your representative. Write op-eds to your local papers. Tell your friends. Please help us by singing our petition. Please donate to our cause here. Also, the two-row wampum is a treaty of self-determination between the colonials and the Great Lakes People; invoke it; they are in breach! So what’s your point? You recruited clients for your SD lawsuit, no? Did all this Indian parents just stroll into your office one day? Thurgood Marshall recruited clients to result in Brown v. Board of Education. That is what lawyers do to test the law, as you are doing. Your analogue is misplaced. 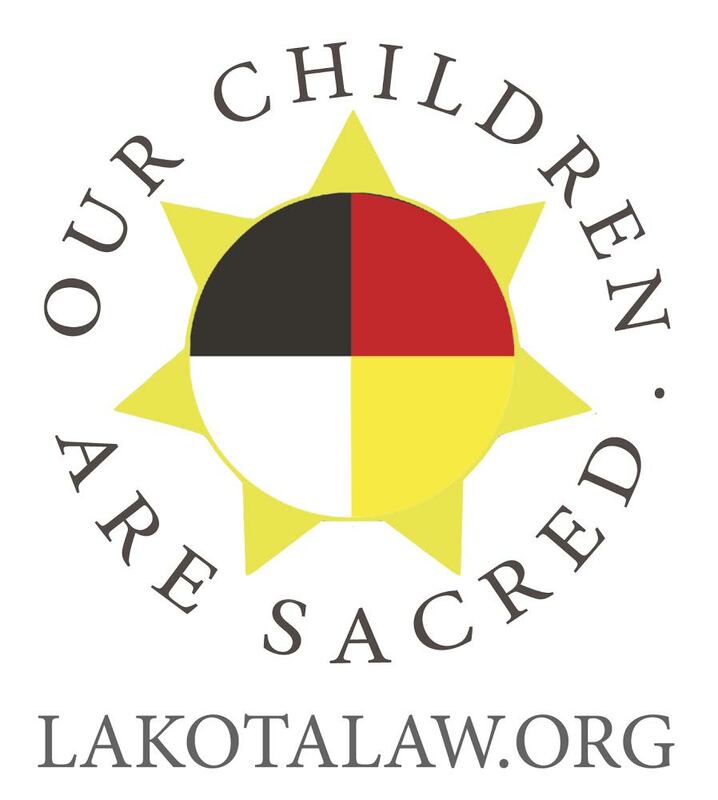 Lakota People’s Law Project was asked to come out to South Dakota to investigate the epidemic of child seizures and after identifying the problem, sought a legal solution. Relative to Brown v. Board of Education, the NCAAP filed the initial case in Kansas after recruiting 13 parents of children in the Topeka school district, but I think you would be hard pressed to argue the lawyers filed the case to further pursue their personal enrichment. In the present instance, the lawyers involved aren’t trying to ameliorate broad social ills via the legal system. Instead, they are trying solve their own problems, which are purely pecuniary, by recruiting clients to become involved in cases that offer little lasting benefit to themselves or Natives in general. In other words, Swain and the other lawyers affiliated with AAAA are using their clients to enhance their gravy train, not recruiting their clients to address a broad social problem. That is pure speculation as to motives of the attorneys (me included). Do you know what fees lawyers get for these federal suits? Nada, unless of course they win, and get Section 1988 attorneys fees years after the fact. And indeed we are are trying to ameliorate social ills. You just disagree with our reasoning, which you are free to do. Let’s argue the law and not motives, what say? Let the court decide? What “social ills” are you trying to ameliorate? Let’s face it, taking down ICWA means billions more dollars for adoption agencies through the removal, transportation and sale of Native American children. The cost of the lawsuits is a very minor expense compared to the 50 or 60k per child plus the federal cash benefits paid.